Fatna Farkh gives a new meaning to Kaftans. for she has created a style of her own which combines tradition, modern and artistic designing which reflects her love for perfection. 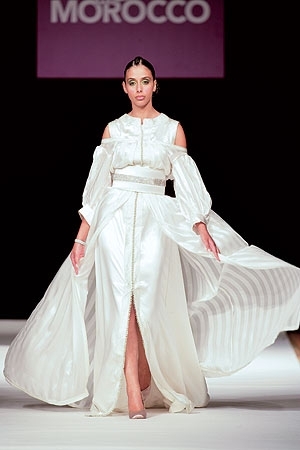 Reinventing the caftan for the modern woman Fatna Farkh has given to this antique costume, a language of its own which makes it suitable for all type of women, whatever size culture or nationality,” It is a must item to have in ones wardrobe ”. It can be worn on any occasion: at home; weddings or ceremonial events etc. 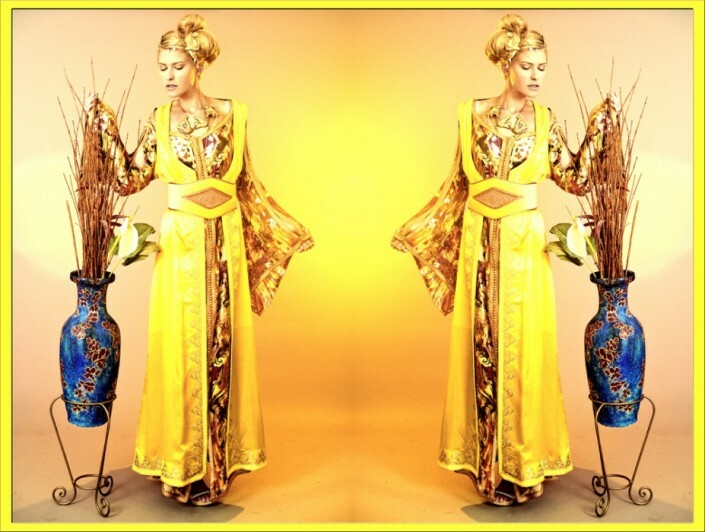 Fatna Farkh designs for any woman regardless of the budget. Alongside her Haute Couture line, she also has a ready to wear line.